The New Route Theatre, one of the companies under the umbrella of the Illinois Theatre Consortium, is producing two shows in April. They're both part of New Route's "One Shot Deal" series, even though the second one is actually an encore presentation of a "One Shot Deal," technically giving it a second shot. First up, "Suppos'd to," written and performed by Irene Taylor, plays at Bloomington's Eaton Gallery, 411 N. Center Street, this Wednesday, April 13, at 7 pm. "Suppos'd to" is directed by New Route Artistic Director Don Shandrow, and it's billed as "an entertaining and poignant look at loss, grief, guilt, and Salem Menthol Lights." A panel discussion will follow Taylor's performance. There's no set price for admission, so you can donate whatever feels right to you. And the Eaton Gallery has limited seating, so you are advised to email new.route.theatre@gmail.com to reserve a seat. The second show, offered on Tuesday, April 19, at 7 pm, is an encore presentation of "I, Too, Sing America -- The Poets of the Harlem Renaissance," created by Gregory Hicks. "I, Too, Sing America" features Hicks and Jennifer Rusk performing the poetry of Harlem Renaissance luminaries like Langston Hughes and James Weldon Johnson, backed up by a a Gospel ensemble. The show is co-directed by Don Shandrow and Phil Shaw. It, too, is offered on a donation-only basis as part of New Route Theatre’s One Shot Deal Series. Doors will open at 6:30 pm for a 7 o'clock performance, and this one takes place at Illinois Wesleyan University's Evelyn Chapel at 1301 North Park Street in Bloomington. Both shows are part of New Route's mission to showcase new works that "explore the nature of the human spirit in the context of ethical, political, and social choices." 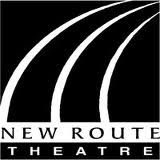 For more information about New Route Theatre, you can visit their Facebook page here. Planning to attend both, emailed a while back! I know "One Shot Deal" is the idea, but I wish there were more than just one shot to see these shows. I'm greedy that way.